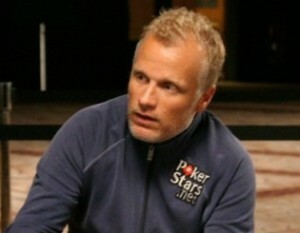 I learned today that the PokerStars Pro Theo Jorgensen got robbed last weekend in his own home and hold to gun point. I cannot other say that I am deeply shocked and sadden over to hear such news and my thoughts goes of course out to the Theo and his family for going thru something like this. As it stated in the poker news about the shooting, 3 robbers broke into Theo´s house and requested him to hand over money to them. Theo, gave them what he had which was less than 4,000EUR, but it didn´t satisfy the robbers so they decided to either make a point or take out their anger on Theo himself. Theo received 3 shots in his legs and later on the robbers fled the scene upon immediately Theo´s wife called the police. What is this world coming to? Is the economy and the desperation for money so far that we enter rich peoples homes with guns and force them for money? Poker player or not, its a sad development that we are seeing in society today and it needs to take a turn. Not only is the bad economy to blame, but also the way kids and the youth is raised today. There is no disciplin, nor respect for other peoples life and their values. I dearly hope that the police in Denmark are doing their outmost to capture these robbers and I hope that both Theo and his family recovers well from this tragic event.